Ponzi Knight gets 110 years for doing what so many others do without penalty. 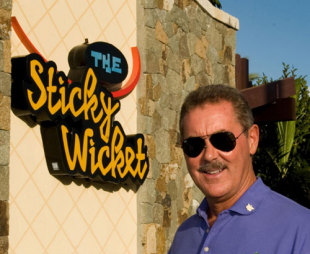 One thing you can say about Allen Stanford: He spread his stolen billions around. Stanford favoured no single political party or politician, according to the US Embassy in Bridgetown. According to our sources he made political donations to both the Barbados Democratic Labour Party (DLP) and the Barbados Labour Party (BLP). The BLP and the DLP kept Stanford’s money even after it was revealed that it was stolen from victims of his Ponzi schemes. There’s lots of precedent for that… after all, the DLP kept the campaign donations of Leroy Parris and friends even after it was revealed that the money came from victims of the CLICO and CL Financial frauds. We call upon both the DLP and the BLP to declare how much money they and their politicians received from Stanford and to return the money immediately so that it can benefit the victims. December 20, 2010 – Wikileaks Barbados: US Embassy Bridgetown sent alert on Sir Allen Stanford three years before arrest. 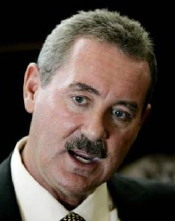 How many Barbados politicians received trips, gifts or “campaign donations” from Sir Allen Stanford? Let’s have some transparency and disclosure by Barbados Politicians! Many US politicians received jet rides, trips and “political donations” from Sir Allen Stanford and now the US Justice Department is investigating just what Mr. Stanford received in return. The United States and their citizens care about that kind of corruption in the political system so they have disclosure laws about gifts and donations that politicians must follow. Unlike Barbados where we have no campaign financing, disclosure or conflicts of interest laws for elected and appointed government officials. In Barbados “campaign donations” are just as likely to end up in the Prime Minister’s personal bank account, but as former PM Owen Arthur knows – even when he was caught it didn’t matter. Yup, things may not be perfect in the USA but at least there are laws in place. Unlike Barbados where Prime Minister David Thompson can be given free jet rides on CLICO’s jet and then be bailing out Leroy Parris and his friends a short time later with millions of our tax dollars. In the interest of transparency, please provide a list of campaign donations, gifts, trips or any other thing or consideration that you or anyone in your respective parties received from Allen Stanford or his businesses or associates. If nothing was received from Stanford, please say so. United States federal authorities are putting out the word that as well as the Ponzi-scheme fraud charges, Sir Allen might be facing the music for money-laundering for a Mexican drug cartel and bribing public officials. Apparently the investigation has been going on “for some time” and one of Stanford’s aircraft was seized while transporting drug money. Meanwhile, American politicians all the way up to the very top are quickly saying “We had no idea!” No less personages than former President Bill Clinton, Speaker of the House Nancy Pelosi and Senator John McCain are on video gushing wonderful things about Allen Stanford. Well, they said nice things up until the past week or so anyway! At the time of this writing, Stanford is on the run. If I were a betting man, I wouldn’t want to put my money on Stanford’s chances if he doesn’t surrender soon. The U.S. Marshalls are not the only organisation that is hunting Sir Allen.